The water is particles based. Three particles textures are included. The script is 50% off during the first week. 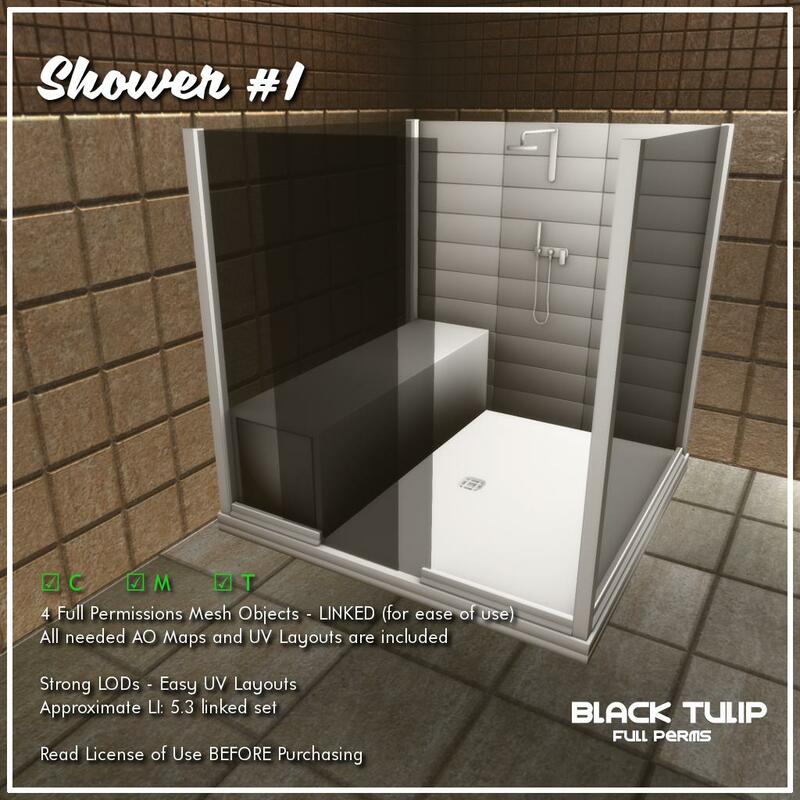 To complete the releases this weekend, we have a modern shower plus a high quality baked textures pack with materials. These kits are also discounted until Monday only at the main store. Click here for your taxi!